Sometimes it’s nice to have a sports beverage that’s not water. However, I still can’t find the perfect choice. 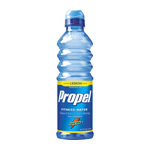 I’ve tried these four: Gatorade, Vitamin Water, Powerade and Propel. Each has drawbacks. 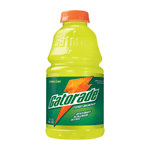 Gatorade is ok…I sometimes drink it when playing tennis. It tastes good and part of me buys into the marketing hype that it “replaces electrolytes”. However, it’s too sugary and sweet. I’d prefer if it just hydrated and replaced electrolytes. I’d sacrifice taste for that. This stuff isn’t really a sports beverage but it “seems” healthier than the other options. It comes in different forms like “energy”, “defense”, “endurance”, “focus”, etc. It’s good and sounds like it’s healthy but it uses crystalline fructose as a sweetener. Also, it’s not really a “sports beverage” in the same line as the others. I don’t like Powerade at all. It’s way too sweet and syrupy; it’s like soda without the carbonation. 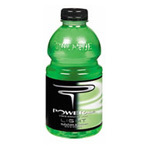 Powerade is the loser among sports beverages. I go back and forth on this one. Sometimes I like it and sometimes I don’t. It uses an artificial sweetener, and while I’m anti-chemical, it is “lightly flavored”. I like the subtleness and sometimes this drink seems to do the trick on the court. I don’t know if it’s all in my head but I sometimes feel better after drinking this. Sometimes. It doesn’t even have to taste that good. So long as it has no other negatives and is actually better for you than water. 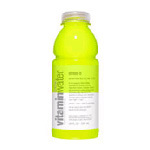 Vitamin Water is close but the crystalline fructose sweetener is the deal-breaker. Come on beverage companies…give us athletes something 100% healthy!